It may be getting cold outside, but I still chose a frozen version to the popular Pumpkin Spice Latte rather than the hot version! I must be in end-of-summer denial? 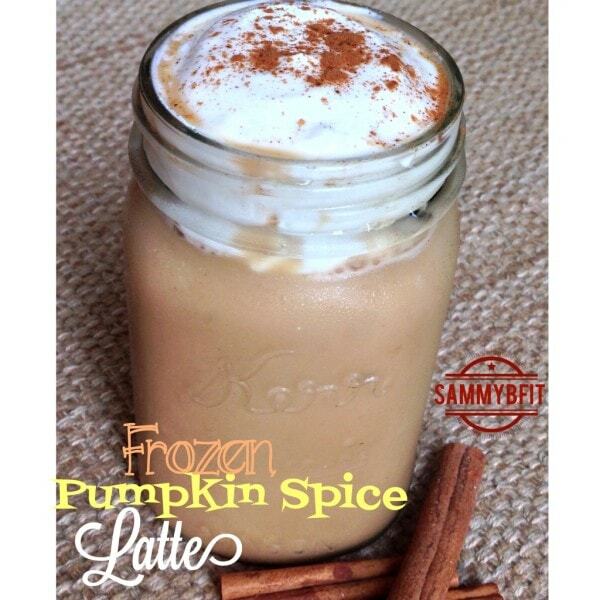 This Frozen Pumpkin Spice Latte is so easy to make – I guarantee you’ll be making it more than once or twice a week. Especially with how simple it is to make and at only 55 calories?? Thought so. Now, go, enjoy! Place all ingredients into the blender, liquids first. This helps to blend the ice down easier. Blend thoroughly and add additional ice as desired. Add toppings of choice. My topping was a mixture of coconut "whipped cream", sweetener, and Greek yogurt! But this is completely up to you.